Cardinal Basketball Officials Association (CBOA) is a Northern Virginia-based organization of amateur basketball officials from of all walks of life - educators, firefighters, lawyers, accountants, Federal and State employees, healthcare professionals, construction engineers, students, IT Professionals, and others, who are dedicated to providing the highest levels of professionalism and quality officiating to basketball programs throughout our service area. 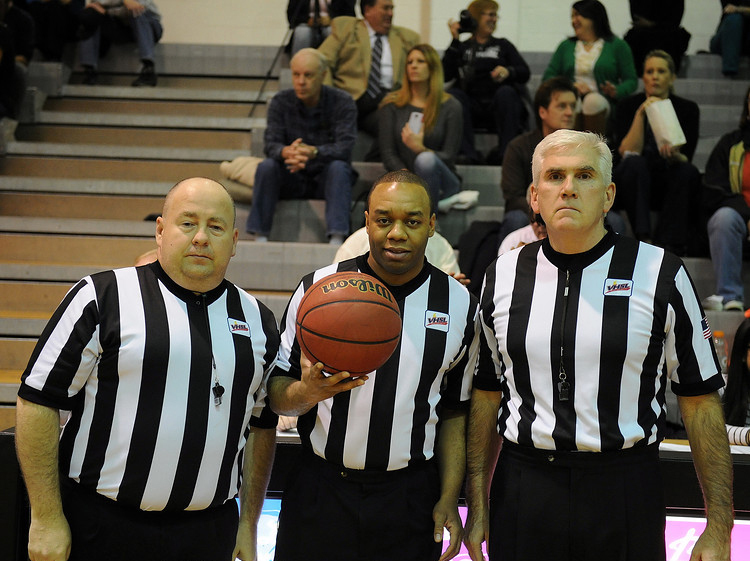 With ~400 member officials, CBOA is the largest basketball officials association in the Commonwealth of Virginia, and has been recognized by Referee Magazine as one of the best officiating organizations in the United States. CBOA provides officials for nearly 10,000 games per year. Our Scholastic Program referees boys and girls basketball games at the Freshman through Varsity level at more than 50 public and private high schools in our service area. The Recreation Program referees numerous adult and youth leagues, in addition to several AAU tournaments throughout the year. CBOA covers the following areas: Arlington, Fairfax, Fauquier, Loudoun, and Prince William Counties, as well as the Cities of Alexandria, Fairfax and Falls Church. For a short period in the late 70's and early 80's, two high school basketball associations, Capital and Commonwealth, operated within what is now the territory of Cardinal Basketball Officials Association. Capital worked only the girls' games while Commonwealth worked only the boys' games. At the conclusion of the 1981-82 basketball season, both associations recognized the rapid growth of boys and girls basketball within the region and merger talks began towards meeting the growing officiating needs and for the betterment of basketball officiating in Northern Virginina. As a result, unification of Capital and Commonwealth resulted in the birth of "Cardinal Basketball Officials Association, Incorporated -IAABO Board 255". An "Executive Board," installed by the general membership, handles the day-to-day operations of our board. Today Cardinal has grown into the most recognizable and professional basketball officiating organization in the state of Virginia.